This morning I stepped outside to take Pneuma for her “good-morning tinkle” and the weather was so incredibly beautiful that I just plopped down on the sidewalk to enjoy it. Pneuma eventually got her fill of smelling the traces of our cat in the grass and found her way into my lap, where she just sat contently for a while. And then I caught myself day-dreaming back to the days where my only job was to be outside 24/7, enjoying the weather in all of it’s forms, and tears welled up in my eyes. You see, these past few weeks have been exceptionally hard. So right now, I’m going to spend the morning out on the porch reliving all of those glorious days where my only responsibility was sitting in the morning breeze and listen to all of the sounds of nature surrounding me. And I’m going to try to put into words why walking back into American society has been such a grueling process. Yet each time it is asked, it still catches us off guard. Our initial, somewhat unconscious, answer to this question is usually ‘pretty much’ because, I mean, we aren’t hiking every day anymore. We’re waking up in a bed, drinking tons of quality coffee, eating substantial meals, using the conveniences of society constantly, going to sleep in a bed, etc. But the truth is, we’ve barely even begun to adjust back to this previously acquainted ‘normalcy’ at all. Just like for all of you who do the same things day-in and day-out, there are a plentitude of things on Trail that became habitual, or our new ‘normal’, and it’s been really difficult to stray away from doing those things on a daily basis. Of course there are certain habits, like not being glued to our cell phones at all times or being really present in all moments, that we are trying extremely hard to cling tightly to, but there are so many more adjustments that have almost been laughable for us. Hesitating to finish a full glass of water because we don’t want to go through the hassle of filtering another one, oh, but there’s a faucet with an unending water supply. Constantly scoping out the ‘outlet situation’ in public places to see if we can get all of our devices plugged in at one time, oh, but we have ready access to electricity at all times now. Panicking when we see a chance of rain in the forecast and looking around to find all of our rain gear, oh, but we can stay inside. Always looking around for our warmer layers when we start to get cold, oh, but there’s a thermostat where we can magically adjust the temperature now. Regularly beginning to host an interesting odor and not even thinking twice about it, oh, but we have constant access to showers and deodorant and, oh yeah, people expect cleanliness of you now. These are just a few examples that reside on a fairly exhaustive list, but you get the idea. These instincts allow us to feel, even if just for a brief nostalgic moment, a deep connection to our Friend. And that is something that we never want to lose at the expense of fully adjusting back into what people around us label as “normal”. But the more I thought about the “normal” that is so often pushed upon us, I realized something powerful; whatever you, as an individual, wake up and decide to do or to think each morning is what becomes your normal. Yeah, you actually get to choose. It isn’t uncommon for us to think back to our life on the Trail and wish that we were back in those days or even for us to dream about pursuing another long trail in the near future, but we also know that those thoughts hinder us from finding a delicate balance between the two normals we have been acquainted with over our lives. We’ve had some really exciting opportunities surface in the past week or so that are allowing us to hold hands with the Appalachian Trail and show new people how beautiful, rewarding and welcoming She is. 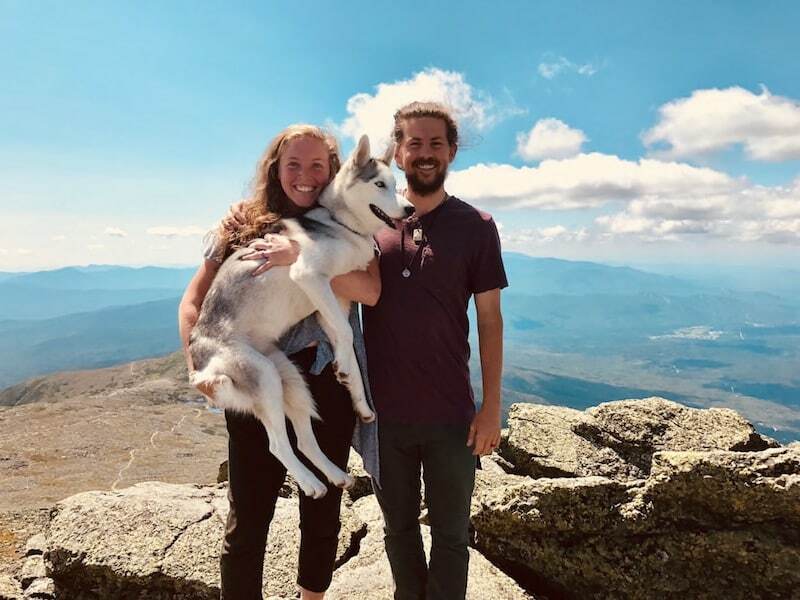 In fact, we were recently interviewed by a local newspaper and not only got to share about our incredible journey, but we also got to share why we feel like getting outside and enjoying the Earth is so important and inherently good for humans. And it is in moments like those where we realize that hearing our story probably won’t make people want to quit their jobs and live in the woods for six months, but maybe it’ll make them want to take a hike on their off days with their family or friends. Maybe it’ll make them breathe in the cool breeze as it blows or soak in the rays of the sun or listen to the animals around them wake up and truly appreciate what a blessing those things are to the world. Maybe it’ll make them leave their phones and cameras in the car and enjoy seeing with their own two eyes and participate in conversations that could’ve been missed otherwise. Maybe it’ll make them stop for a moment and dwell on their gratitude for the running water in their homes or for the roof over their head. Maybe it’ll make them share food with the hungry or give water to the thirsty. Maybe, just maybe, it’ll empower them to pursue the dream they’ve held dear to their hearts but never made time for over the years – no matter how crazy it seems. And, you know, that maybe is enough for us. So, have we adjusted back to ‘all of this’? Not by most people’s standards. But, hopefully, we’ve adopted enough of your normal to help you see that you can adopt some of ours, too. I loved reading this because I’ve been one of the ones asking the “normal” question. You hit the nail on the head with what you said at the end. You are so right, each one of us has our own “normal,” and all too often we don’t value the differences that exist. Love your own normal and live it to the fullest! Inspiring and insightful as always. Love your way with words and your hearts.